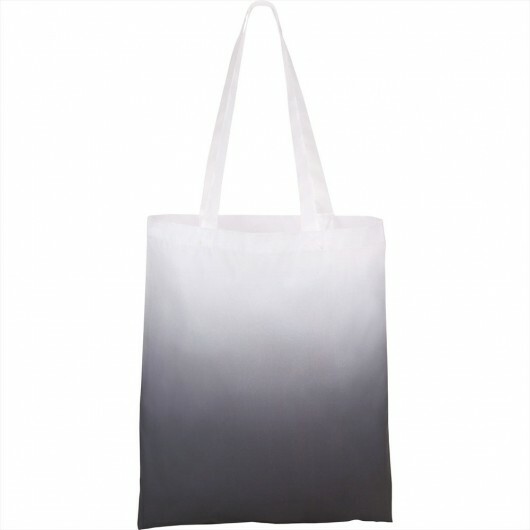 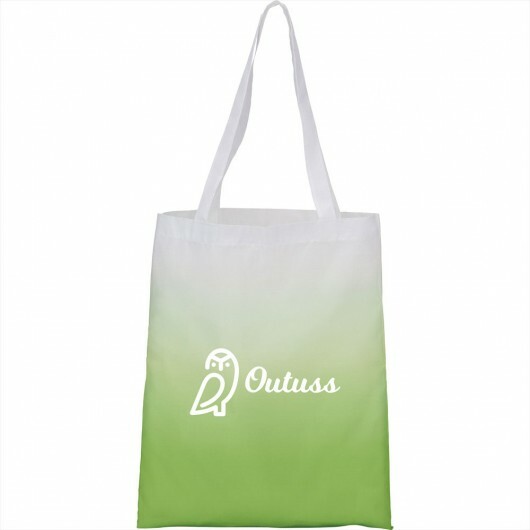 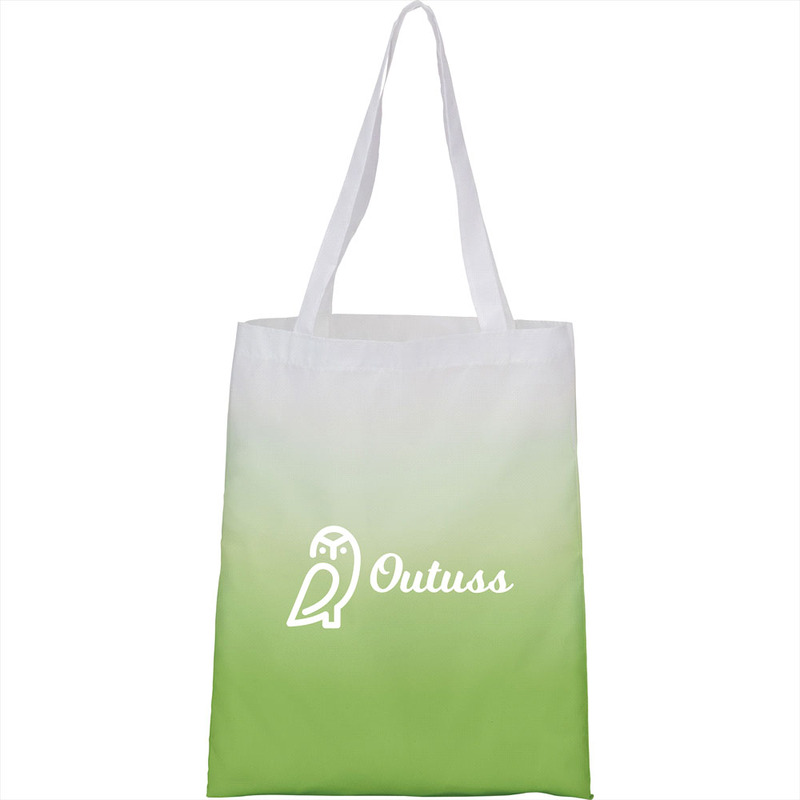 A fashionable alternative to your standard tote that features a gradient colour fade. The perfect eco friendly alternative to plastic bag that feature an on trend gradient design that stand out from your ordinary tote. 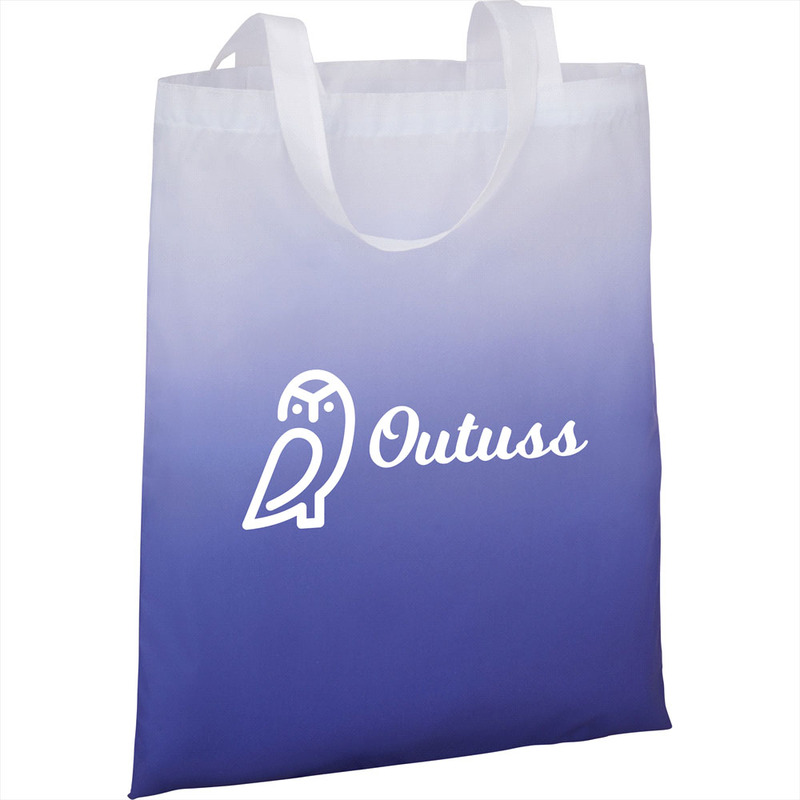 They're excellent for conventions, events, conferences, open days and more. Your logo is printed on the front in a large size that stand out.